Israelis celebrate Independence Day with abandon on the 14th of each May. Remembering Nakba occurs the following day, but be aware: it is not permitted to mourn in Israel on Nakba Day, so it is forbidden to grieve ancestral family roots past, present and future. Many Palestinians lived on the Mediterranean coast. Certainly this would be my choice too, since the climate is that of Southern California. Californians also seem to prefer the coast, some prefer Sacramento. 700,000 Palestinians exiled in 1948. They left homes and lives rooted in many generations, many family trees. There is yet no legal option in Israeli law to a right to return. 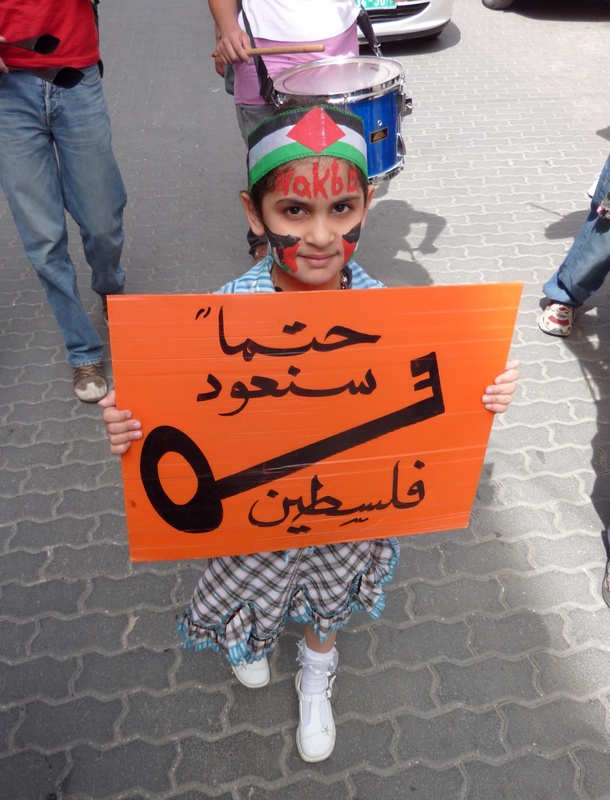 In the following video you’ll see a skeleton key on a sign: it signifies all the house-keys carried into the West Bank, Gaza or wherever a diaspora may take you.